March is National Celery Month. It's a month to celebrate this marshland vegetable. You're up for a Celery-bration, aren't you!? Of course you are! Native to the Mediterranean, Celery is one of the best foods you can eat. It is very, very low in calories, People say it takes more calories to eat celery, than the calories it contains. It is high in fiber, potassium, and vitamins A and C. Celery adds a tasty crunch to salads and tuna fish. It's great in soups, stuffing, and many other recipes. It is a great snack paired with a variety of dips, or peanut butter. And, what would a Bloody Mary be without a stalk of celery!? Did You Know? Celery has been used for medicinal purposes for thousands of years. Back in 850 B.C., Celery seed was believed to have healing powers. Benefits include: preventing gallstones, aids in indigestion, and helps to lower blood pressure. So, there's plenty of reasons to eat ample amounts of celery. How does one celebrate National Celery Month? Dig out your recipe book, and make foods with celery. Give the kids, celery and peanut butter for a bedtime snack. See how many times you can use celery in your meals and snacks this month. This special event seems to have started around 2015. There is very little written about it. We did not find the author or any information describing the origin, or reasons for establishing this special month. It also seems strange to have National Celery Month in March. 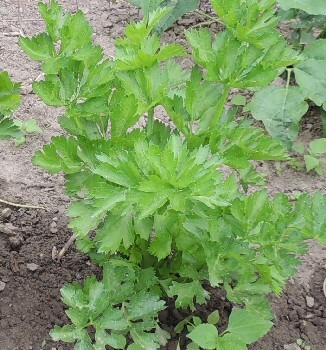 The gardening season has yet to begin, and the home garden harvest of long growing celery is several months away. We did not find any historic event in March where celery had any involvement. We did not find any presidential proclamations or acts of Congress making this a true "National' celebration. Note: We also discovered just a small handful of references to "National Celery Day" in July, and just one reference in March. There were so few references, that further research seemed futile at this point.